Could a Low-Nickel Diet Improve Your Nickel Allergy Symptoms? Could a Low Nickel Diet Improve Your Nickel Allergy Symptoms? Nickel is one of the most commonly reported contact allergens. Here’s what to do if you are sensitive to it. Follow a low nickel diet. A nickel allergy presents as an itchy rash on the skin after contact with nickel. This is called contact dermatitis. It can take up to 48 hours for symptoms to show up, and they can last as long as a few weeks. Nickel allergies are not uncommon. One of the main causes for contact dermatitis, an itchy rash on the skin, is nickel exposure. 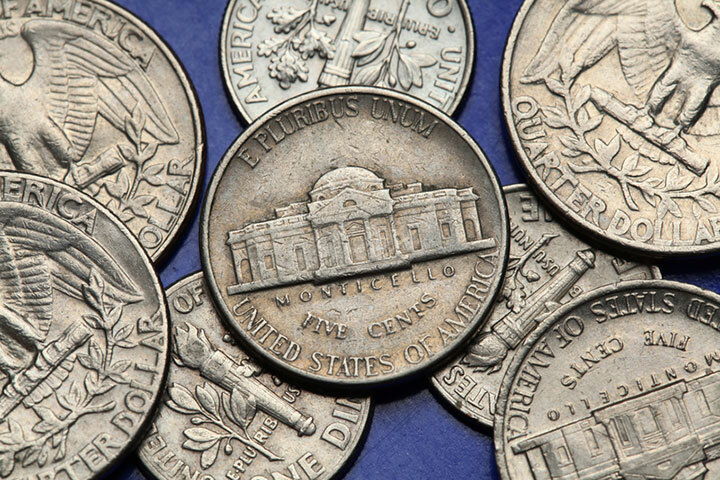 Nickel is found in a variety of everyday items, from jewelry and piercings to zippers, cell phones, and coins. Some people are exposed to nickel through their occupation, too. Unfortunately, once your body develops a sensitivity to nickel, you’ll probably always be sensitive and avoiding contact with the allergen is the best course of action. But it isn’t just contact to the skin that causes nickel allergy symptoms; some people are sensitive to nickel in food, too. If you are one of those people, a low nickel diet can help. A nickel allergy presents as an itchy rash on the skin after contact with nickel. This is called contact dermatitis. It can take up to 48 hours for symptoms to show up, and they can last as long as a few weeks. Look for bumps, redness, and dry patches on your skin. Many people are already aware that they react to nickel, but if you get rashes and don’t know where they come from, consult with your doctor to see if nickel might be to blame. 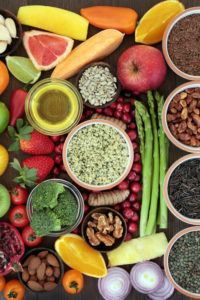 It wasn’t previously thought that nickel in the diet could induce symptoms of contact dermatitis, but researchers now believe that a portion of people with nickel allergies may actually react to nickel in their diet. This can be hard to identify, as it might be difficult to link the food you are eating to a rash on your skin. Studies have shown that oral ingestion of nickel does, in fact, trigger reactions on the skin in some people who are already sensitive to nickel. The higher the dose of ingested nickel, the more likely nickel-sensitive people are to react. But even low doses, like those the average person eats daily, can trigger reactions. Researchers analyzed data from 17 studies and predicted that 1% of patients will react to levels of nickel in a normal diet (0.22 mg to 0.35 mg), while 10% will react to levels between 0.55 and 0.89 mg, which would be the amount ingested in a diet containing a lot of high-nickel foods or by drinking water contaminated with nickel. Fortunately, following a diet low in nickel can help. In one study, 227 people out of a group of 339 nickel-sensitive individuals did not improve after avoiding sources of physical nickel contact. Of those 227, 80% were able to achieve complete or near complete recovery of symptoms by following a low-nickel diet. This study estimates that dietary nickel exposure is probably the chief trigger of symptoms in about 11% of patients. Which Foods Are High In Nickel? Nickel occurs in most plants (and thus a lot of our food), but some foods are higher in nickel than others. Nuts and cocoa beans, for example, are especially high in nickel, as nickel is concentrated in plant seeds. Canned foods are also often contaminated with nickel. If have a nickel allergy, but avoiding physical contact with nickel isn’t working, it may be time to consider that dietary nickel is to blame for your symptoms. Try following a low-nickel diet to see if your symptoms improve. If you don’t find relief, visit your doctor to discuss alternative options. Do You Need Food Allergy Testing? Are you allergic to nickel? Does avoiding physical contact with nickel keep you from reacting? Have you ever tried eating foods low in nickel? Share your experience in the comments section below. Arch Dermatol Res. 2002 Aug;294(6):249-67. Allergy Rhinol (Providence). 2015 Jan;6(1):56-63. Indian J Dermatol. 2013 May;58(3):240. J Clin Aesthet Dermatol. 2014 Mar;7(3):30-6.
allergen, allergies, allergy, allergy remedies, allergy symptoms, allergy testing, beer, beets, carrots, cauliflower, chocolate, coffee, cooking, diet, food, food allergies, food allergy, food allergy testing, ibs, ibs, kale, low nickel diet, migraines, milk, natural treatment, natural treatment for, natural treatment for migraines, nickel allergy symptoms, nuts, recovery, skin, soy, spinach, whole grains, wine. I thought you might be interested in this article on https://universityhealthnews.com: Could a Low Nickel Diet Improve Your Nickel Allergy Symptoms?